Ed Boyden is a professor at the Massachusett’s Institute of Technology who leads the Synthetic Neurobiology group. He’s credited with important contributions towards the revolutionary field of optogenetics. Essentially, it involves a bunch of molecular tools that make specific groups of neurons switch-on-and-offable simply by shining a light on them. This incredible innovation has given neuroscientists unprecedented level of precision in controlling the activity of different types of neuron in experiments trying to unpick the brain’s mind-bogglingly complex circuitry. It seems that he and his research team may well have done it again. They have developed another potentially incredibly powerful innovation that could fundamentally change how we approach Deep Brain Stimulation (DBS). 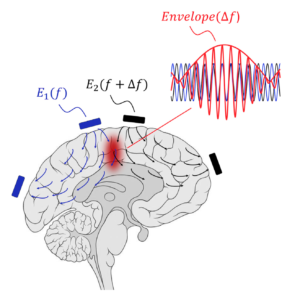 This new approach is called Temporal Interference Stimulation (TIS) and the breakthrough it offers is enabling deep brain structures to stimulated without having to cut through the skull and actually insert electrodes into the brain. The DBS approaches currently used in humans involve passing electrodes through holes in the skull all the way down to deep brain areas in order to deliver pulses of electrical stimulation at the desired location. This has become a relatively routine medical intervention that fundamentally improves quality of life for thousands of people suffering from a range of brain illnesses all over the world. It has proven effective in a variety of chronically-debilitating diseases including Parkinson’s Disease, Major Depression and Obsessive Compulsive Disorder helping to circumvent common problems whereby patients either don’t get any improvement from their medications, or do at first but then the drugs stop working after a period of time. 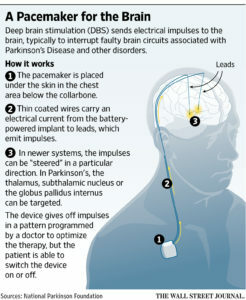 DBS therapy is most striking in people with Parkinson’s patients. Gradual death of the dopamine neurons that play an important role in initiating voluntary movements is the root cause of Parkinson’s disease. Dopamine-boosting agents often help with their movement difficulties but the benefits do not usually last forever. The invention of NICE-approved DBS therapy has been a lifesaver for many thousands of people. By applying an electrical current to either the thalamus, globus pallidus or subthalamic nuclei, limb movements can be controlled as normal. Their distinctive seemingly hesitant, shuffling walking style can be replaced with a normal, confident striding gait at the flick of a switch. The surgically-implanted electrodes often yield remarkable improvements in their symptoms, but having to cut holes in people’s skulls and physically implant wires in their brains is fraught with risks and potential complications. TIS, at some point in the future, could offer the same benefits but without the need to put any man-made objects inside the brain. We’ve had technologies that are capable of influencing brain activity from the skull surface for many years. Both Transcranial Direct Current Stimulation (tcDCS), which sends electrical currents across the skull, and Transcranial Magnetic Stimulation (TMS), which produces transient magnetic fields that extend across the skull, are both able to influence brain activity without the need for invasive surgery. But tcDCS and TMS are unable to influence areas deep inside the brain with any precision, they can only modulate brain activity at the surface. With TIS, all that it set to change as the technology progresses from experiments with mice, through larger and larger mammals, until it is eventually (hopefully) proven to be safe and effective in humans. As with all brilliant scientific solutions, TIS is elegant in its simplicity. A high frequency electrical current has no effect on brain tissue. At lower frequencies electrical currents can disrupt the usual flow of information in whatever brain tissue it is passed through. Here’s the clever bit. By applying two different sources of high frequency electrical current, at carefully separated positions on the scalp surface, where the two currents overlap sufficiently to cause interference in a way that reduces the frequency of the combined electrical signal it’s possible to alter how the brain tissue functions. Every other region that the electric currents pass through on the way down to the target location is unaffected – only where the beams cross. The team’s recent paper, published in the journal Cell (free to download! 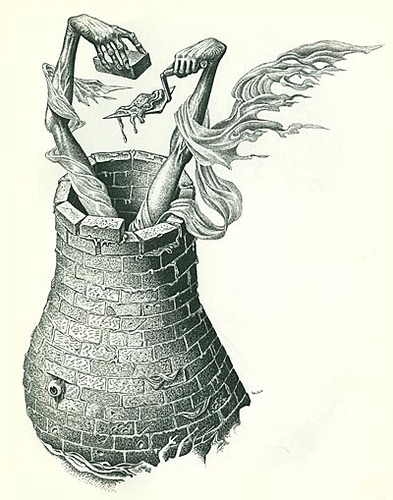 ), describes how this technique was used to selectively stimulate the mouse hippocampus, deep inside the temporal lobes, from the top of the skull. While reaching down to the human basal ganglia from the skull surface is a much greater challenge – penetrating to a much greater depth, across a much thicker skull – this proof of principle makes the dream of deep brain stimulation without surgery seem a realistic prospect in the not too distant future. Every day I trawl the internet for fascinating, illuminating pearls of brain wisdom to leak out of neuroscience laboratories across the planet. So each year I look back on a year’s worth of brain tweets to see what’s been trending recently. This year the topic I appear to have been tweeting about the most, with over 50 separate articles shared on this topic via the social networking site Twitter, is brain technology. In second spot are the tweets drawing attention to the science podcast I’ve been doing with RadioX’s Lliana Bird for the past 18 months. Incidentally we’re currently turning this into a book. We’re literally writing it right now. She’s sat right opposite me as I type. We’re 50,000 words down and have just 30,000 to go. It’ll be in all good book shops and online repositories in time for Christmas 2016. We’re tremendously excited. In third place with just over 40 citations is the topic Youth Brains – which is what I label any cool science that is of relevance to baby brains, infant brains, teenage brains and brain development in general. Human brain + Computing power = better, faster processing of visual intelligence than the sum of their parts: http://bit.ly/1PFsQjk Scary! neurosurgeon practises surgery on 3D printed patient’s brain: http://bit.ly/1SulGhH ..but without blood vessels,how useful is this really? Brain-controlled computer cursor getting better&better: http://bit.ly/1Re40GC But how long before we find ourselves chucking out the mouse? Listen to our new #GeekChicPodcast NOW on iTunes and on http://geekchic.libsyn.com/ ! Green Tea – fad or genuine “smart” drug? http://bit.ly/1CetNnX I’ve been reading up on green tea, so I wrote a blog about it. GIF (1987) and ZIP (1989) must be some of the oldest file formats that we use every day. Our #POSTnote on Novel Food Production http://bit.ly/1e8HnWr Insects for dinner anyone? Death by deliberate caffeine overdose: 258 empty blister packs (200 mg/tablet) http://www.ncbi.nlm.nih.gov/pmc/articles/PMC4337497/ … over 50 grams of caffeine! Experimental treatment uses ultrasound to break up amyloid plaques of Alzheimer’s: http://cbsn.ws/1BAaEBa – but will that improve anything?? How does the brain’s memory system work? When a brain injury makes you forget how to read: http://bit.ly/1gzJ0gD – can you imagine having Alexia? Dunno what I’d do with myself…! Two words is all you need to hear to recognise a good friend or relative’s voice: http://bit.ly/1jgTmDh ..still 1 step ahead of AI…just! 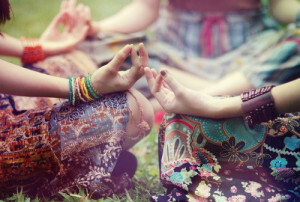 Nice synopsis of brain benefits of meditation: http://onforb.es/1M6fP07 – inspires me to actually do some whilst on holiday later this month..
PET scanning demonstrates changes in density of dopamine receptors after weight loss surgery: http://bit.ly/1wCKtnA But WHY though? Have a listen to this “Teachers tap into brain science to boost learning” PBS item: http://to.pbs.org/1CbnrNf …& let me know what you think!! 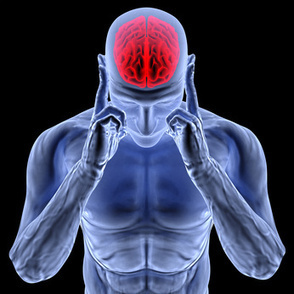 Is this “Brain Training Doesn’t Work” article: http://bit.ly/1Gwy9yE reporting a new study? Or simply re-hashing: http://bit.ly/1ybKSDL ? If dual-tasking study/Facebook leads to bad grades: http://bit.ly/1J7Hmfi Is keeping 1 eye on Twitter at work messing with your efficiency? Asked librarian for a book on Pavlov’s dogs and Schrodinger’s cat. She said it rang a bell, but couldn’t say if it was there or not. IQ and BMI walk into a bar. 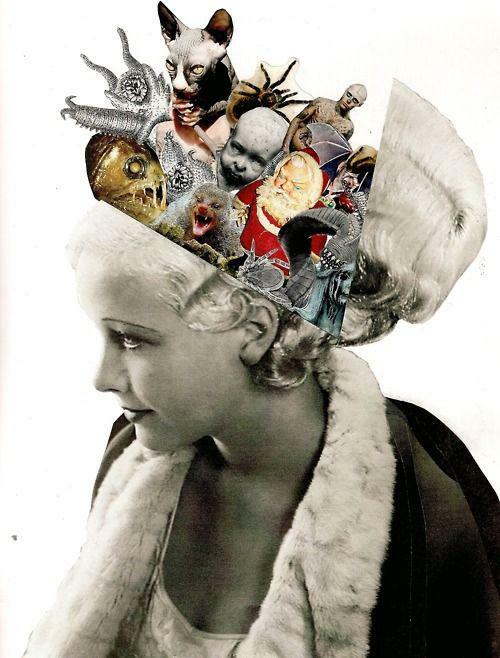 They see Phrenology in a corner, scoff, and then each order alcohol in different-equally useless-measurements. In part 1 of this blog I broadly described the benefits of mindfulness and what it involves. Here I dig into the detail, outlining the parts of the brain that appear, on the basis of a recent review of many brain scanning studies, to be most consistently impacted by the regular practice of mindfulness. 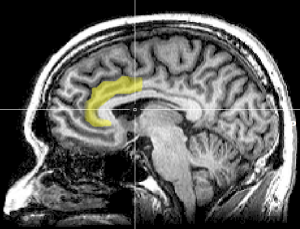 Using MRI scanning to focus on differences in the physical structure of brains has revealed that the anterior cingulate cortex (highlighted in yellow in the below image), often implicated in studies of attention, is physically thicker and the underlying white matter denser in practitioners of mindfulness who are highly experienced as opposed to those who are relatively inexperienced. Moderate to severe stress is associated with high levels of circulating cortisol (a “stress” hormone). 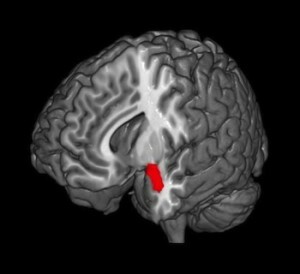 This is associated with increased density in the amygdala (highlighted in red in the below image) – a structure deep within the tips of the left and right temporal lobes and vital for orchestrating rapid responses to perceived danger. Decreased tissue density is observed within several prefrontal regions and the hippocampus – which also resides within the core of the temporal lobes – serving several memory-related functions and vital for many aspects of cognition. Regular practice of mindfulness appears to reverse this. 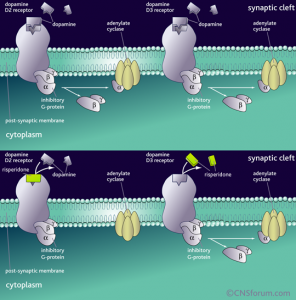 Cognitive impairment is reduced and presumably an increase in synaptic connectivity accounts for the increase in tissue density within the hippocampal / prefrontal cortex. The enlarged amygdala shrink – presumably due to reductions in the number of synaptic connections between neurons in this region – which is also associated with a reduction in anxious feelings / the attenuation of heightened perception of threat, back down to normal levels. 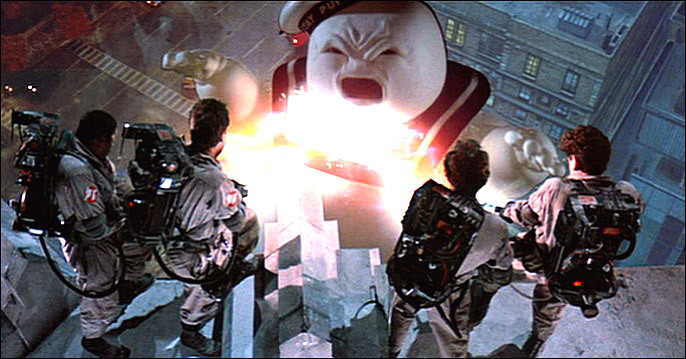 In the original studies, when the participant was instructed to “rest” they would invariably use this period to self-reflect or daydream about something completely unrelated to the experimental task (I certainly did when I volunteered for various MRI studies – it’s impossible not to – anyone that’s seen Ghostbusters should know that). A couple of years ago when I conducted a series of interviews (British Neuroscience Conversations) with various big hitting neuroscientists at the British Neuroscience Association’s conference, neuropsychopharmacologist Prof David Nutt pointed out that, if our “ego” or the “self” lives anywhere in the brain the Default Mode Network is the best candidate. The medial prefrontal cortex (labelled DMPFC for the dorsal/upper part and VMPFC for the ventral/lower part) and posterior cingulate cortex (PCC), i.e. 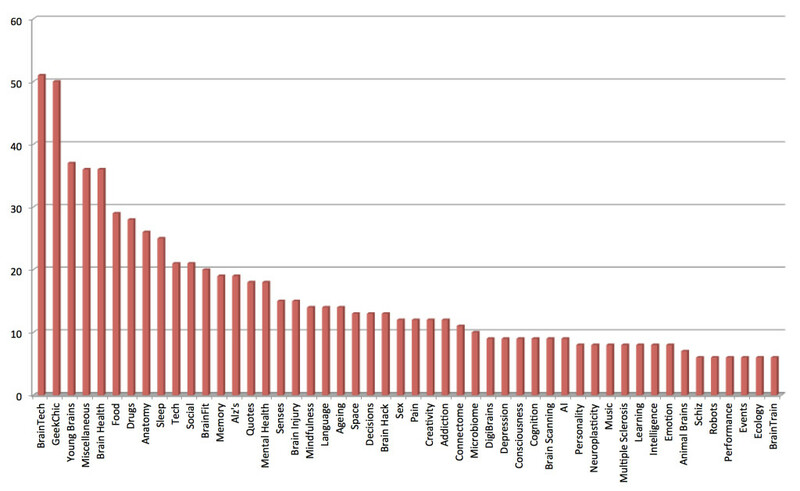 the core DMN regions, were less active in experienced versus inexperienced mindfulness practitioners. 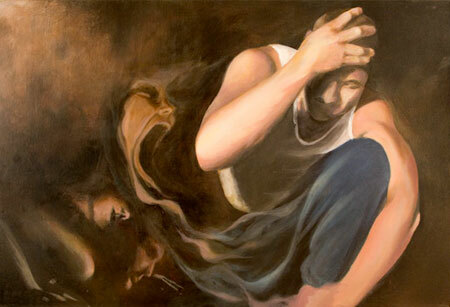 As one of the primary aims of many mediation practices is to selflessly accept thoughts and feelings in a non-judgemental, compassionate way – the reduction in these neural correlates of “ego” may well reflect a degree of success in this endeavour. So inspired have I been by these revelations of fairly solid early evidence attesting to a likely neuroplastic impact of regular practice of mindful meditation on brain areas involved in modulating attention, emotional responses and perhaps even ego that earlier in the year I went to Mykonos for a retreat to immerse myself properly (opening the invitation to anyone who faniced coming along). Since then I’ve gone on to develop a #brainboost campaign for Weight Watchers in order to help tackle the obesity epidemic by getting people’s brains ready for healthier eating by practising mindful eating, performing a bit of daily brain training to boost their working memory and learning some simple brain hacks, all with a view to eating more strategically. During my research for this project I came across a nice little book on mindful eating that I would highly recommend: it’s called Eating Mindfully by Susan Albers. 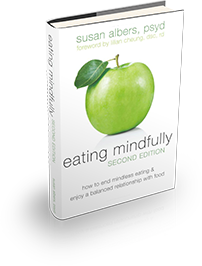 Personally I find a lot of books on this topic extremely cringeworthy, but Susan Albers describes the practical tips on how to avoid mindless / emotional eating through mindfulness in a very straightforward manner. My own book “Sort Your Brain Out” includes a chapter on the kind of foods and eating habits that are good and bad for the brain. In addition, I do a weekly science podcast available on iTunes, audioboom, libsyn and podbay, with the delectable Lliana Bird who presents every Fri and Sat nights on Radio X. And I regularly share the best of the day’s neuroscience breakthroughs on twitter (@drjacklewis). In previous articles on this blog I’ve described some of the many long-term brain benefits of regular exercise. These have mainly focused on the benefits that regular exercise offers to older people in terms of reducing the rate of age-related cognitive decline. But the brain benefits of taking regular exercise are applicable to everyone, young and old. People who exercise regularly have lower rates of anxiety and depression. They even boast greater cortical thickness in parts of the prefrontal cortex and the medial temporal lobe. Specifically brain scanning studies have demonstrated that the left and right hippocampus, fundamental both to creating memories and knowing where we are in space, are a little larger than in sedentary people. This increase in tissue thickness is thought to be indicative of a denser meshwork of synaptic connections reflecting a greater complexity of neuronal network. In other words several brain areas fundamentally involved in memory and cognition are able to perform better. What’s more regular exercise leads to improvements in mood and even helps you sleep better. And there is little better than a good night’s sleep for helping brains to reach peak performance. Exercise leads to increased levels of nerve growth factors like BDNF (brain-derived neurotrophic factors) that promote the birth and survival of new brain cells, synapses and development of new blood vessels. So this is thought to a likely mechanism for the changes in the thickness of various brain regions in people who take regular exercise and quite possible the long term benefits in cognitive ability and mental health. 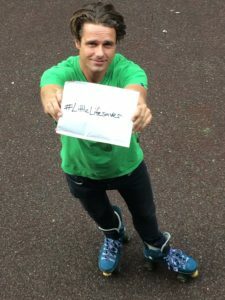 In my talks, workshops and first book (Sort Your Brain Out) I urge people to move away from thinking about exercise as a pastime motivated by the desire to improve the appearance of our bodies and more as something we should get in the habit of doing regular exercise to manage our mood / productivity in the short term and brain health in the long term. When people are feeling stressed out their motivation to hit the gym is often at rock bottom levels. A huge shame because exercise is exactly what would make them feel much, much better almost immediately. What Causes the Runner’s High? Athletes often talk of the “runner’s high.” This has long been explained as a result of endorphins released in the brain in response to moderate to intense exercise. It makes good theoretical sense because endorphins, the brain’s natural opiates, have the twin effect of numbing pain and making us feel good. The trouble is that up until 2008 there was little if any hard evidence to back this notion up. Yet further doubt was cast on the whole endorphin hypothesis when a study demonstrated that the runner’s high still occurred even when the effect of any released endorphins was blocked with a drug called naxalone. Looking elsewhere for a mechanism through which the runner’s high might be achieved researchers started to focus on a possible role for endocannabinoids. 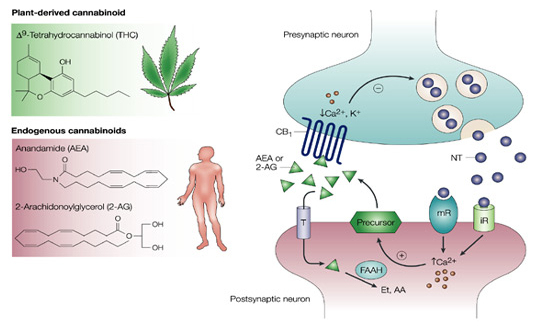 Similar in structure to the hundreds of cannabinoid chemicals found in the Cannabis sativa plant smoked recreationally in pursuit of a mood-enhancing effect, endocannabinoids are naturally produced throughout the brain. 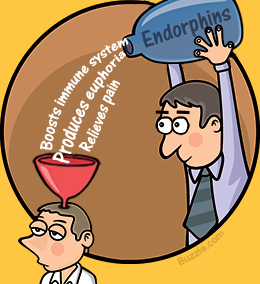 Subsequently, elevated endorphin levels were observed in a brain scanning study that compared brains that had recently completed a 2-hour endurance run compared to other brains that hadn’t (Boecker et al, 2008). So consensus now is that the anxiolytic effects of exercise are mediated by a combination of endocannabinoid and endorphin release in the brain. What Purpose Might the Runner’s High Serve? 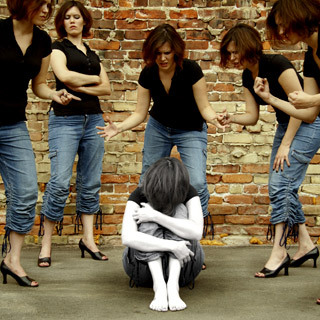 From an evolutionary perspective pain signals clearly should be switch on and off-able because they can be helpful or disabling depending on the context. Pain signals from damaged body parts helps us to avoid worsening the injury when at rest or engaging in gentle exercise, clearly an advantage when the priority is to allow a twisted ankle, strained knee or inflamed muscle to heal properly. But in the context of evading a predator or attempting to catch prey, such pain signals could lead to the huge potential disadvantage should it lead to getting caught and killed by the predator, or failing to catch the very food that might keep us, and our dependents, alive. The benefit of the analgesic / hedonic effect is that if a person is running to save their skin, then switching off the pain signal and inducing a light high to further compensate for any residual pain resulting in an unimpeded getaway makes perfect sense. Better to endure minor tissue damage if it is the only way to ensure you’ll live to see another day. 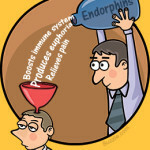 There is a huge amount of evidence to support the concept that regular exercise is extremely good for body and brain. The trouble is, we all know this but few actually get around to taking regular exercise. In my view the main reason for this is partly feeling overwhelmed by their busy lives but also probably involves exercising in the wrong way: when people do finally get around to exercising they often overdo it. Spending the whole of the next day aching all over will do little to incentivise them to take the trouble to exercising again any time soon. I would argue that little and often is the best policy. Even at the frantic pace of modern life everyone can fit in 20-30mins of exercise a day. That way, even if some weeks you only hit 50% of your target, you’ll still be getting your heart rate and breathing rate up, flooding the brain with highly oxygenated blood, endorphins, endocannabinoids and BDNF, 3-4 times per week – exactly the recommended dose! In addition to these monthly blogs you can catch my weekly podcast Geek Chic’s Weird Science (on iTunes, audioboom, libsyn, podbay) and subscribe to @drjacklewis on Twitter where I share at least three good brain news related articles every day.